Mobile ordering at restaurants continues to grow at a rapid pace. Providing customers easy mobile access to your restaurant, with a customized and up-to-date menu, complete with item details, pictures, and descriptions is a great way to attract customers on-the-go. Since mobile ordering was introduced, the relationship between restaurant owners and their customers has evolved to include a digital relationship in addition to the personal relationship they may have already built. A recent study found Millennials dine out most often, compared to other generations, and are also the largest group of smartphone users. To capture this group of customers and understand their buying habits, restaurants need to make mobile ordering priority #1 to appeal to a Millennial’s desire to use their phone to make decisions and purchases. According to Business Insider Intelligence, orders placed via smartphone and mobile apps will become a $38 billion industry and make up nearly 11% of all quick-service restaurant sales by 2020. An eMarketer study also found that more than 38 million Americans used some type of mobile payment in 2016. 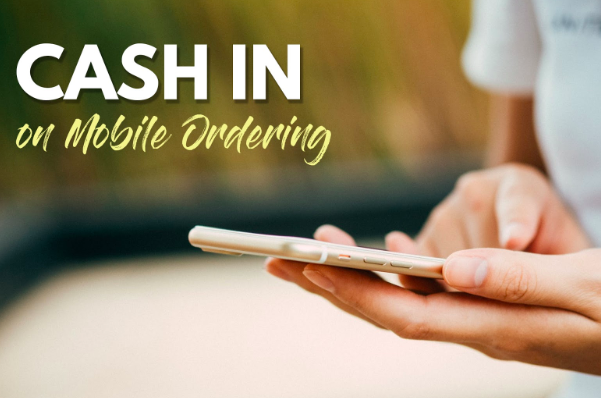 Many fast casual restaurants already benefit from mobile ordering. Multiple pizza chains have reported an increase of 18% in overall customer spend when comparing online/mobile orders to phone orders, according to another Business Insider report. Over 48% of restaurants planned to add some form of mobile technology according to a TD Bank survey at the 2017 NRA conference. Upon the introduction of mobile ordering at restaurants, many operators were wary about quickly adopting the new technology. Adopting technology requires the appropriate time, attention, and money. Nonetheless, mobile ordering provides restaurant owners a significant return on their investment. At the end of the day, the cost and efficiency benefits of implementing a mobile ordering strategy and system are worth it.